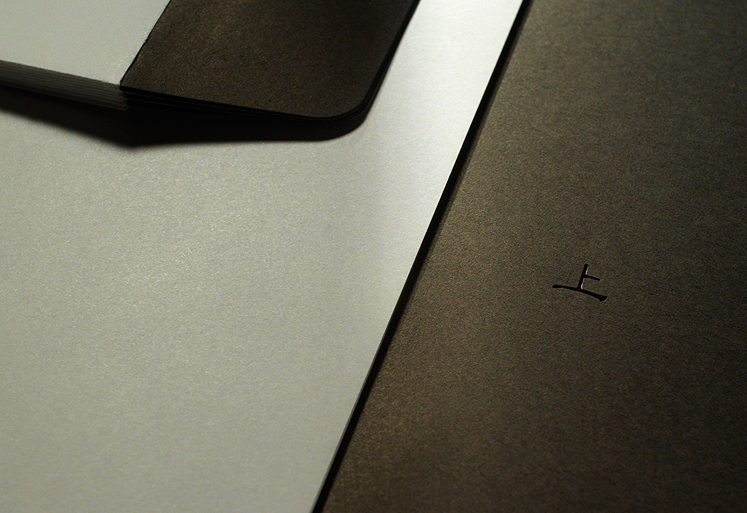 typotherapy was sought out to create the identity for Lee’s new restaurant. 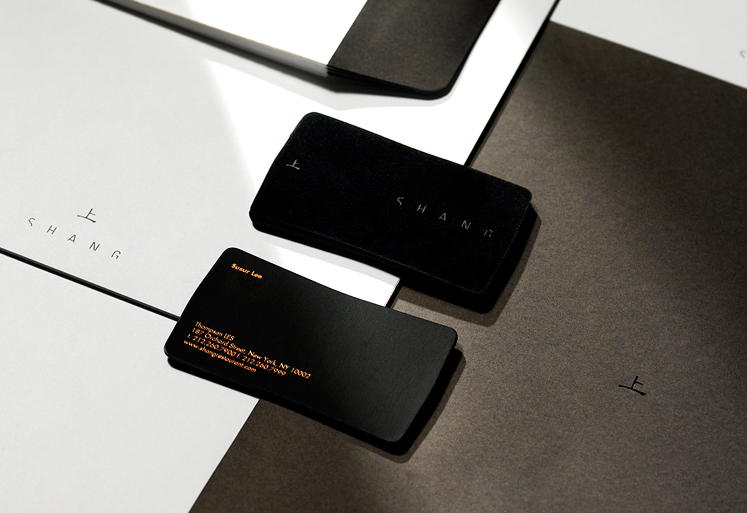 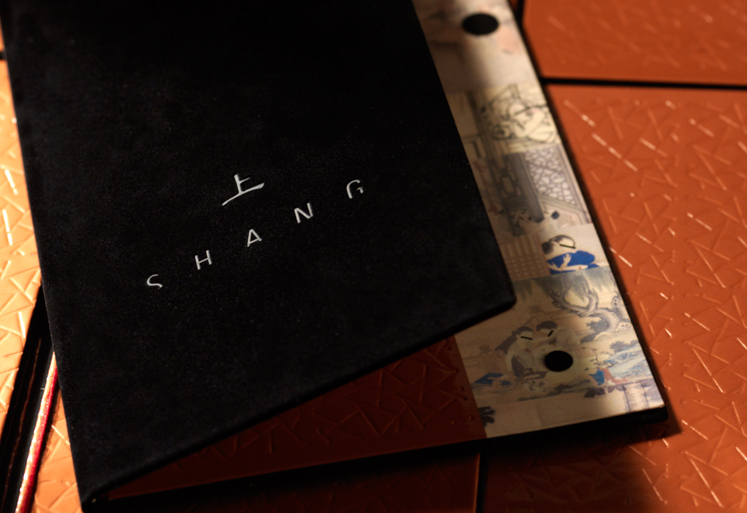 The identity was applied in detail to all of the restaurant’s most important elements from business cards, stationery, through to menus and signage. 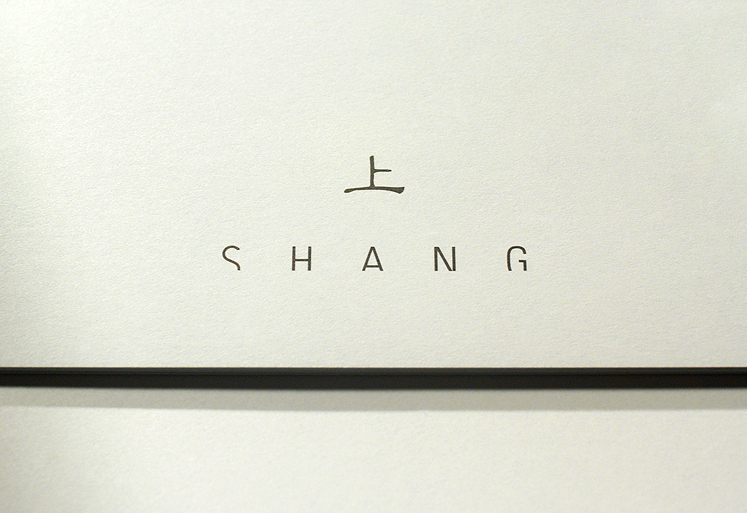 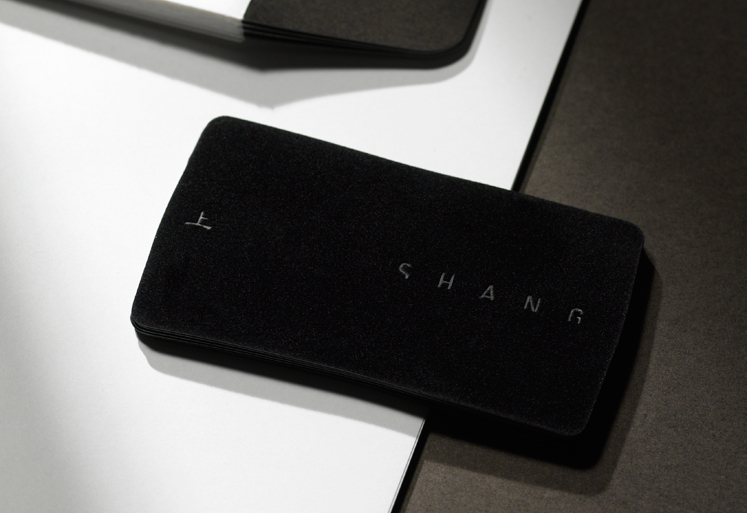 The logotype was designed to embody the spirit of SHANG. 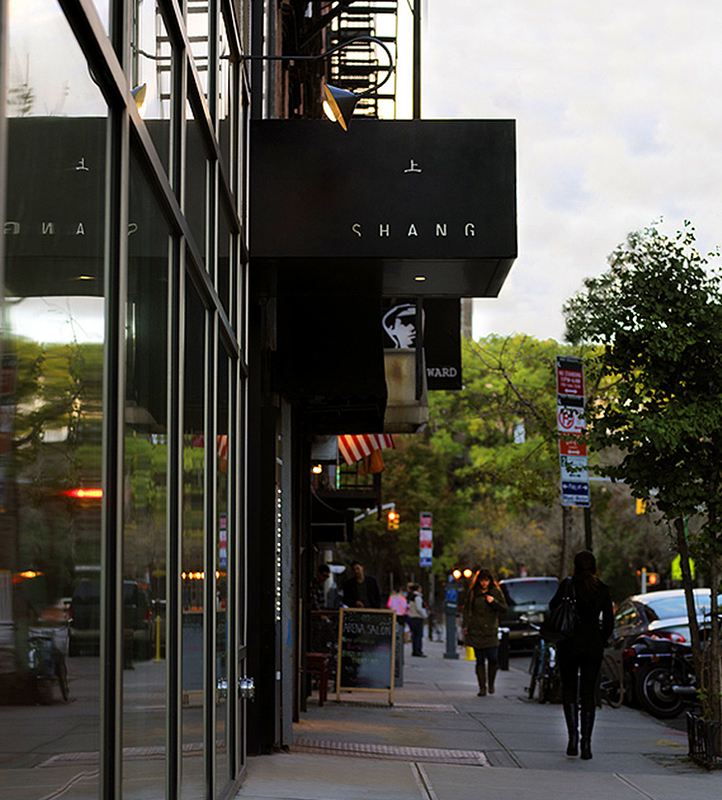 It appears to be moving upward—the notion of rising above the ocean—with the Chinese symbol situated on top. 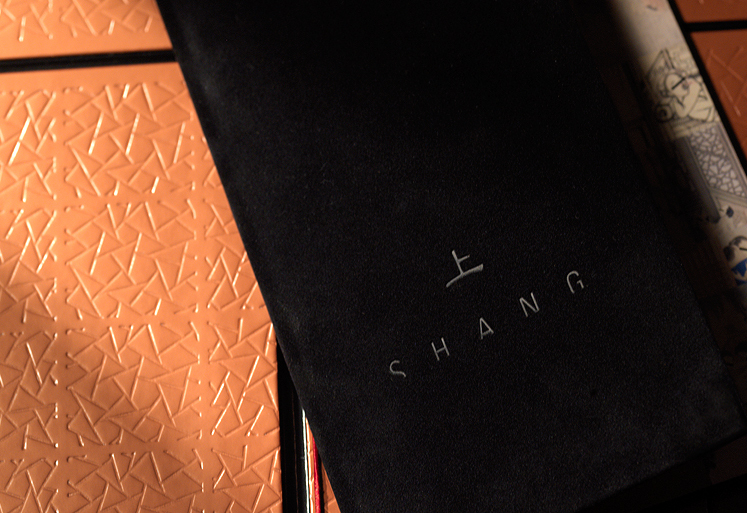 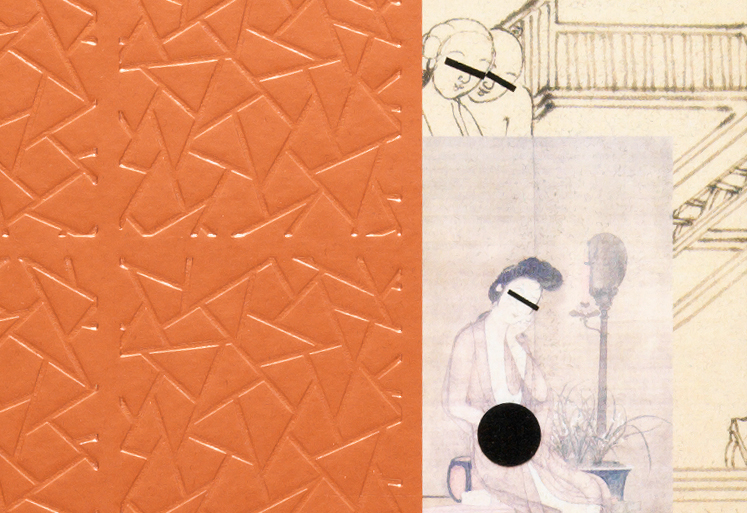 Luxurious, velvet plated, custom die-cut business cards, and oversized menus were created as a play on the lavish interior of gleaming mahogany, burnished bronze and wallpaper constructed from imprints of ancient Chinese drawings. 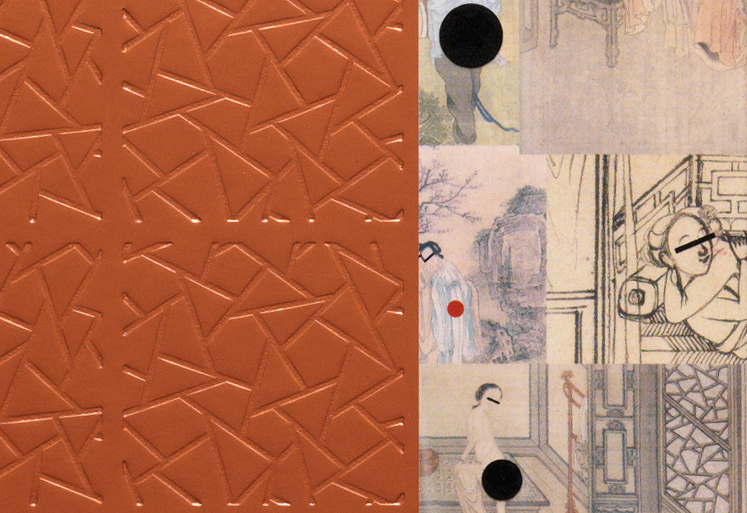 The opening received overwhelming media attention, with the likes of Madonna, Alec Baldwin, and other celebrities amongst the attendees. 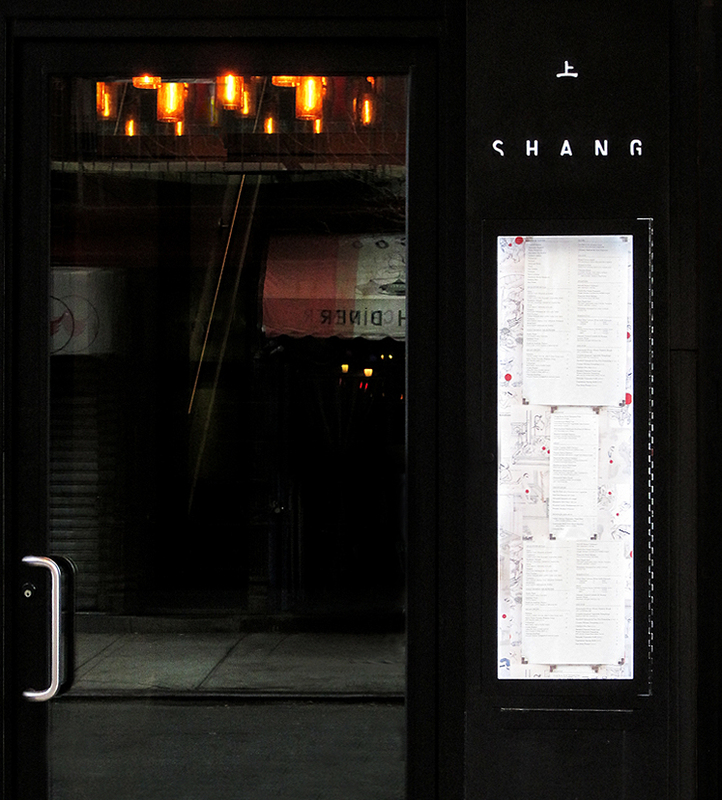 Within days, the restaurant received rave reviews and international acclaim.